On April 14, 2016, Eritreans around the world will commemorate their imprisoned compatriots. 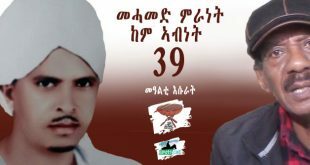 Four years ago, a group of Eritrean activists declared April 14 “Prisoners Day”, and they have been commemorating it since then. According to human rights organizations,there are thousands of Eritrean prisoners of conscience languishing in hundreds of prisons in Eritrea. Some have been held for more than two decades without charge or a day in court. Prisoners who were lucky to either escape from prison or somehow be released state they never knew the reason for their arrest because they were not informed of what they were accused of. When prisoners die in jail, the regime orders the relatives of the deceased to collect the body; other times, prisoners are just buried in secret. Mohammed Mranet is a veteran of the struggle era and was in charge of a clandestine cell; he worked closely with the Eritrean Liberation Front. Mranet was imprisoned with tens of teachers from Keren in the early nineties. 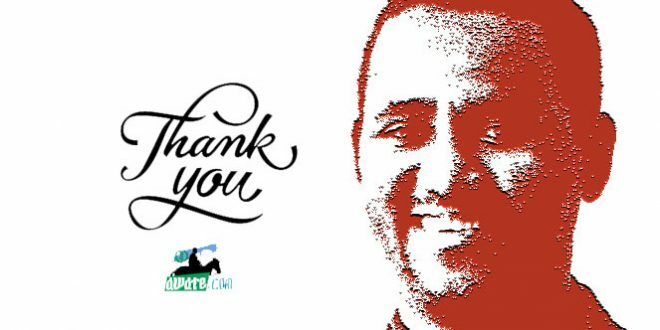 When the Isaias regime imprisoned him, Mranet was a judge. Eritrean prisoners of conscience include teachers, religious leaders, veterans of the struggle era, professionals, artists, traders, sheikhs and priests, as well as veteran combatants and leaders of the EPLF, the organization that defeated the Ethiopian occupying forces and ushered the independence of Eritrea. 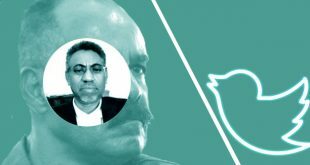 Among them are ministers and army commanders and other senior members of the ruling party and the government who were Isaias Afwerki’s close associates. Many members of the group of activists running the activities related to the April 14 commemoration are the children of prisoners. Some of them were between one-year and four-years old when their parents were imprisoned or disappeared in the early nineties. This year’s commemoration will include a major seminar in London. Eritreans residing in other cities, including Melbourne, Australia, have already started a campaign to spread awareness about the plight of Eritrean prisoners of conscience. Let’s keep it simple: oppression is a forceful control of people, right? What happens when people are oppressed? They are not happy, and they are scared, and every night they dream of beating the hell out of their oppressor; it is just a question of time. In the case of Gadaffi, the volcano erupted after 42 years. Revolutions are not a choice, bro. Neither are they conspiracies of CIA or Mosad as you people like to think. They are power balls of accumulative anger erupting one day from within (it doesn’t matter who helped ignite the first spark). And for the fates of Libya, Iraq and the likes, you should solely blame the Gadaffis and Saddams if you were not afraid to face the truth. You asked me how I see the Libyan experience vis-à-vis our situation: Again, I choose to simplify: you can’t torture a person and at the same time expect him to be passive forever. Neither can you choose or judge the ways with which he may react to your abuse. One day, he may overcome his fear and erupt to own his fate (for better or worse). This is not called evil woyane conspiracy , it is called ‘Adgi baela belaeA tixiwiE’. So, what should we do about it…the next question, right? My best answer would be let both the supporters and opposition of the regime be true to themselves and tread with wisdom. May the supporters support genuinely, and may the opposition oppose genuinely!! who are blinded by passion and romanticism ? of Tigray as counterweight to the other. weights like the EPLF, eprdf and the OLF are still there ? and successfully harmoniously mold them with its Organization. Abo, so now you are sending your massage from Earth to ? Mars! ስሜ ኮኮብ ነው ብልህ ብንጋት ኮኮብ ፎቅ ኣሰርቸ የምኖር መሰልህ ወንድም ? ኣረ ተው ! እስቲ ፈገግ በል ! “ፈገግ ሲሉ ደስ ይሉ” ይመችሽ ኣቦ:- ፍቅር ይዞህ ያውቃል ? I didn’t know Eritreans use passports. This is news for me. Is it a normal size and shape passport or is it camel shaped passport? It must be the ugliest passport in the world to be used only at Assab port. I’m sure you are still using the Ethiopian passport. I was not aware of the camels’ involvement in your liberation struggle. No wonder your independence was slow and ugly and Stillborn as it was wrongly conceived . “Free at Last!” said the camel from Assab . “Slavery at Last!” said the Eritrean youth from SAWA. BTW, Vet Mahmud left Eritrea soon after the burial of the stillborn independence. First he went to Addis for fresh air and getting used to civilization, then off to USA. I wonder if he used Ethiopian passport? Some are as smart as the Sahil camel. In fact,the Eri Passport is the most beautiful one I have ever seen! In fact it was a Twin Live Borns ,Free and born again Ethiopia and a Free and liberated Eritrea,thanks to the ERITREANS! Unsurvival journey is but unique to Eritrea! But who does that except Eritrea ? Sorry that you and your government failed miserably to weaken and destroy Eritrea. Tell me any old or new country,which outsmarted all the evil agenda and conspiracy. I found one very old country that outsmarted everyone. ETHIOPIA!!!! colonialism. That makes us UNIQUE!!!! Take that to the bank! Hi Abi, isn’t it too early to write eulogy for mama Ethiopia;-) You seem a little tense.This shall too pass, Ethiopia is reslient. What about your your usual bubble bath and The Notebook novel to read, i am sure you ol’ lady wouldn’t mind. That it was /has been the Unique Eritreans’ role that made both case scenarios UNIQUE and possible. And that has been saved in the Banks since long time. Just admit it,swallow the bitter TRUTH and acknowledge only as no one would expect you to appreciate and admire Eritreans, which they deserve by all means. Why did you omit the major reason behind Amanuel’s activity? -“Eryea meritua inji hizbiwa ayasfelighenim” was the main reason that made Amanuel to do what he did! Are you trying to compare few scholarships with a $1,000,000,000,000.00 worth material damage and with more than 200,000 human casualties and with displacement of more than 1,000,000 people as migrants and refugees for over 40 years? You should be naive,albeit deliberately,as usual. I laugh Every time you put those seemingly endless zeros . It is longer than the circumference of the earth. Are you talking about real money or Nakfa? Or maybe Monopoly money? 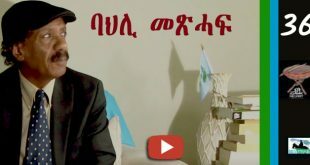 ” Eritrea meretwa enji hizbwa ayasfelgenim” was a propaganda material designed and used by Amanuel Hidrat when he was an Arab agent in Addis. He used it in his mass mobilization campaigns against the Ethiopians he lived, worked and worshipped with. As I told you before he caused the most damage in the past and future relationship of the two people. I told you before that he is the most dangerous person on the face of earth. He brainwashed millions of Eritreans to a wrong cause. A modern day Judas who betrayed the people who opened their hearts and homes for him. You know why I call you ” gerageru”? It is because I honestly believe you are a victim of Amanuel’s hate campaign in the past. 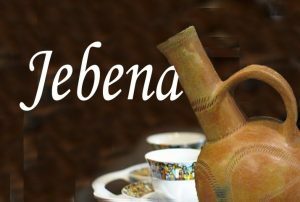 Dear kokhob Selam – could you tel us who is your real name please ? Mohamed or Ali ? That is why you have a hidden …. this one is not good for you, do you say “Dear kokhob Selam – could you tel us who is your real name please ? Mohamed or Ali ? That is why you have a hidden ….” you better delete it. 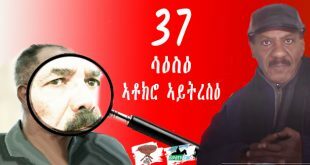 ዓቕሊ ጽበት እዩ : – ቅብጸት ድማ !! I understand or traced you (kokhob) who you are? You are the hiden enemy of the …. You can resist ny truth words like weapons. I always find something to lough on. Thank you for this one. what do you say “I understand or traced you (kokhob) who you are? You are the hiden enemy of the …. You can resist ny truth words like weapons.” I learned whatever weapon I use I always know how to use it. really thank you. a city of fear and strife and turmoil up until 1997 or 1998. To the contrary Asmara was by far more enjoyable during those years. So is it only me or the observation of others too ? I have to agree with you here. Between 1991-1998 Addis was not enjoyable at all. It was run by people who wanted to have two countries at once. As you said , once those people suffering from affluenza left , it got back its charm. Now, it is more enjoyable the likes of Hope are spending their vacation over there. As you said , Asmara was enjoyable in those days because those people who just got their independence inhumanity kicked out the poor Ethiopians because they didn’t want to share that city. I think your observation might be accurate on balance of those days. Did you observe today’s Boston marathon sweep, both in men and women? Don’t you think that was enjoyable? I visited our University today, Monday, 3/18/2016 at 9:00 PM, I didn’t see any congratulatory remarks from anyone. What is up with that? Even our own, SAAY, who waists no time to tell us that Algeria beat Ethiopia in soccer 7 to 1 in real time is no where to be seen today. I thought you might at least have mentioned it in passing. Perhaps you haven’t heard yet about the boat that capsized yesterday with over four hundered Ethiopians and Somalis? My guess is people are mourning. I just learned from the BBC website about the tragedy, how sad. I hope the Ethiopian government will act as expected of it in such situations, and it would not deny their death or their very existence. It had brought back stranded imigrants in the past. I hope that the day when Ethiopians take the return journey will come someday, as the Chinese people have done so. Here is a link. Thanks for the link. I hope the Gov. do and inform about all the dangers on the way. It was not long ago Islamists in Libya decapitated those poor helpless souls. At least the Saudis are humane. They simply deported over 100,000 Ethiopians within days. What is odd is even today I didn’t see Ethiopian web sites I visited have nothing to say about it. We have talked about these truck load of zeros before. Didn’t I tell you to send the invoice to God? If you load all those zeros on a caravan of flying camels from the Sahil paradise, they can easily reach God. Make sure to put the invoice on the last camel . Also make sure you hang on tightly on the tail of the same camel carrying the invoice. and deceiving the all of us ). again under the control of Urban sections of the people and not the people ? working hand in gloves with the upper class ( top oppressors). the rest of the people ? They people are only told what to do and how to behave ! and authority. It is just a blasphemous statement. of the poor people who think their wishes were heard and represented well while not. much out of line their political strand is vis a vis a free country and democratic principles. economic powers and enforce ideas and legacies inherited from past foreign or alien rules. weaknesses in administartion of the new ORGS. and the crisis they found themselves in. So where is the power and Authority these poor people say they own and brag about ? so in the post independence ( change of system ) era. of a daring operation to free them from the prison where the Orgs. you see them they make good use of it. late to work effectively by now. What are your opinions on this matter ? As you finished you comment with the Oromo word ‘Akasi”, I felt trapped, and said to myself, better leave it there. To argue about any topic you need to follow the “rule of a logical argument”. This will help us to improve the general level of our debate. Please do not go around the bush just come and work on the core ideas of the comments provided. ” Can you tell me why IA is president for life?”. First, may I suggest that you read, if you haven’t read it already, a great article by a New York Times columnist, Roger Cohen, about the Singaporean leader, Lee Kuan Yew, entitled “Can-Do Lee Kuan Yew” that was written on March 23, 2015. Here is the link..
Based on this article, I have written a post about PIA, whom you rather refer as “IA”, I think, sometime last year. I am searching my Disqus account to find the link and here it is.. If based on these two links, you can’t catch my drift, then please enlighten me on why “IA [ should not] be president for life”. I would also appreciate it if you would take the following three undeniable and stark realities into considerations. (2) Eritrea is facing implacable enemies that are dead set against it’s very existence as a State through all manners of wars, declared or otherwise. (3) Eritrea is still in a state of exception which is commonly known as state of emergency. and ASIA will be connected, that you can drive from Asmara to Abudhabi. I invite you to watch ‘parts unknown ‘, now on CNN. Anthony is in Tripoli. May be interesting. In Gheteb versus Lamek, the former described Emirati-Eritrean relations as sisterly, whereas the latter rejected the description outrightly. Lamek’s rejection of the description was because the two countries are more than sisterly. The similarity of their system in every aspect makes them identical twins. And, as identical twins, they are more closely related than sisters. Surely, Lamek was right. What do we have then, for comparison? While the Sudan, Ethiopia, Djibouti, Yemen, and Somalia are identical in that they have elected and constitutional governments as well as their local, national and international issues are discussed and decided in parliament – those are no true with the Isayas group. Similarly, Eritrea of Isayas, Emirate and other Arab Gulf countries are identical in that they don’t have elected and constitutional governments, also conversely their local, national and international issues are discussed over coffee, tea, whisky in homes and nightclubs – yes, not in their parliament. Nevertheless, just because the two (Eritrea of Isayas and Emirate) are identical doesn’t necessarily mean they have the same policies towards their own people. You are missing few points. Gheteb’s justification for Emirate’s ‘sisterhood’ is, among others, the resemblance of Isaias Afewerki to the Emirati official whose photo was taken with Isaias. I don’t know what happens to the sisterhood status when Isaias is replaced by someone that doesn’t look like him. Lamek’s rejection is on location basis. I say that because he classified Saudia as a sister, meaning tradition, culture, religion not an issue. I suspect Gheteb would reject the sisterhood of Ethiopia and Djibouti because those two countries are not in good terms with our regime, which in Gheteb’s world is a requirement to be considered for the honorary tittle of sisterhood. Never mind your selective reading of my post which brings to question your ability to comprehend what is written legibly in black and white. That, I think, is all the rage in Planet Illogic these days. Nothing new there. I have clearly stated my reasons and rationales why I deem the bond between the peoples of the two SISTERLY countries, Eritrea and UAE. If you have any quarrels with my reasons, all I will say to you is bring it on and I may even add some salt to make it palatable to your political taste buds. Instead of assigning blame and engaging in wild guesses why ‘Gheteb won’t consider Ethiopia and Djibouti as sisterly countries to Eritrea, it is up to you and your fellow denizens of Planet Illogic, to pellucidly prove that indeed Ethiopia and Djibouti are sisterly countries because of their invaluable contribution to the emergence of Eritrea as a State, but also in helping it safeguard it’s Statehood and sovereignty. I bet you though that your and your fellow denizens of Planet Illogic understanding is skin deep and is driven by an ephemeral interest. To wit, you view your relations with Ethiopia and Djibouti through the lens of “my enemy’s enemy is my friend” and therefore elevate your relations to these countries to a stratospheric level simply because you want them to help you more in your anti-PFDJ/GoE campaigns. Only people from “Planet Illogic ” believe that Ethiopia and Eritrea are sisterly nations after killing millions of people. Thank you for letting me use your phrase. ” Planet Illogic ” Tirayilka? Eway! Hey people, from whatever planet you come from, do you believe the bullets we were firing at each other’s chest were carrying a sisterly love letters? Stop this nonsense! Let’s be just peaceful neighbors. You may be right when you say, peace first; and one may add, love later. I think that coexisting with Eritreans for so long has helped us to divide Eritreans into two main groups (at least as much as I am concerned), the respectful, peace-loving, God-fearing, and family men/women, on one side, and the delusional elites, living in their own distorted reality and their own virtual world, who started the killings, and became a liability than an asset for Eritrea and the Eritrean people, and the whole region (I should add). They callously screwed the lives of Eritreans and brought Eritrea to this predicament we see today. They continue to destroy the nation, even as Eritreans are leaving in droves to save their lives and their livelihood. In the future, Eritreans will live in Ethiopia, Sudan and all over the world but not in Eritrea. The first group is the one I can call brothers and sisters, and as much as the later is concerned, there is no way whatsoever. The DIA-ists and PFDJ-ists may jump up and down and beat the kebero as much as they like, and they may call the slavery in the making, an Arab friendship, sister-liness and whatever; the truth is that real peace and prosperity will come to Eritrea only when Eritrea is at peace with itself and its surroundings, especially Ethiopia, and not through alliances with Iran yesterday, Arab nations today, and any would-be power from the planet illogical that may come tomorrow. Otherwise, Eritrea will be consumed by its animosity, antagonism and confrontational attitude towards Ethiopia, and the fulfillment of its unrealistic and elusive dreams of becoming the power of the horn, when survival has already become the main issue today. which should be first love or peace? you see both Gheteb and Abi appricated each other..is that true appreciation? that confusion comes when someone understands love is the second or third etc.. Abi loves Eritrea and Eritrean people but he couldn’t get love in return because he is searching that love in wrong place – when someone try to find it from outside or some historical events he will never find it. What he should do is love Eritrea unconditionally and he will join people from Ethiopia who love Ethiopia unconditionally — without arguing or without searching them. peace is never peace that lasts long, if it is born without love. The reason is simple peace can be found by force and rules. it can stay for sometime but it will not continue. the lasting peace is only to found out of love. governments try to apply rules and force that reinforces the rules but hatred always disturbs the systems .. governments kill the killer or punish the criminal. in reality there is no big different between the execution done by the individual or group that commits crime and the government – the only different is the government legalizes the execution to stop such crimes in the future. It looks correct but then it never last long other killer comes to be killed. The cycle continuous because hate is sill there. so the way out is love. Let us spread love and sure the lasting will emerge. sometime you find people who don’t deserve love but you must remember you deserve love – (as the saying goes), so first thing is to love self and spread it. Give love , the most precious gift but free of charge and that you gain out of giving – comes to you multiplied nonstop. This is the network we should be linked – not only we Ethiopians and Eritreans but all the universe. see, someone may look peaceful because he don’t have power to disturb and and stay loved by all when some day he gets the power, it surprises people to be criminal. if you find one poor man to be nice don’t completely judge he is nice till he gets enough money to employ others. Love is first Horizon, and when you love there is no limit no boarder to talk about. you know at this stage of my experience I am able to love my enemy even PFDJistas. Yes you don’t have to trust someone because you love him, you don’t have to give your hand because you love him but you should fully forgive when you are stronger than him and teach him love every time and by any means possible. I know you know this, all but I am trying to correct the “peace first and love second “t hing. Abi, should allow people to live the way they want as far as they don’t affect his life. forcing people accept your choice for their fate was always wrong – even if you love them and want them to be with you. I have never seen any successful love History that won by force. You are right when you say, love first. Unfortunately, in the real world of politics, what suffers most is love and truth. In politics we have this abnormal situation; the so-called, “no permanent friends and no permanent enemies, but only permanent interests”. This is the blow that killed love, truth and peace. Therefore, for practical reasons, I had to agree with Abi, “peace first”, and I added “love later”. I wish it could be the other way round as you said. Unfortunately, although love is the most talked about subject in the world, nevertheless, it is the most scarce, when compared with the other feelings of human beings. Only in the reverse universe love comes before peace. What is this? Arranged marriage? I thought you are better than that. Where there is love,there is Peace;but where is hate,there is no peace ! No love,full of hatred and suspicion /mistrust =No Peace. But if there was /were an iota of Love and Trust,there could have been Peace. Kokhob is talking from Faith point of view,not from political point of view. Have you ever had grudges and hatred against/towards someone ? Then have you ever forgiven that person? If so,how does it feel? Irrespective of who is at fault,Forgive and Forget and sure you will be in peace with yourself and with the others . If you do not forgive and forget,the internal torture and guilt feeling is tremendous despite that you are or were the victim! Unless we both people do not break apart that cycle of Hatred and Mistrust,there will be no peace within ourselves and between/among ourselves. YeAbin sim bekentu atTra. Tiqesefaleh. Second, I approve your massage because there are no zuriya TimTim zeros for a change. Third, we don’t have to love each other, or hate each other. Let us try to be indifferent to each other. Kokhob Selam, thanks for z video, all of us to be proud of. Regarding those Eri brothers who hate Ethiopia, they can not give us what they haven’t got. I don’t think they any love for themselves and their own people too.they are bone dry. But we first need to settle the colonial compensation and illegal deportation issues then gradually we can be peaceful neighbors. There was no colonization when it comes to Ethiopia. If anything, you were suffering from affluenza. You can settle with the Italians for not letting you learn beyond 4th grade. We gave you everything we had. Regarding the illegal deportations, you are the last person to mention it. I thought you said you are for peaceful neighbors, but then you are denying the truth. These issues are totally legitimate and are not going to go away anywhere unless settled in way that benefits both people to live next to each other peacefully. And the claim “we gave you everything we had” is not true; it is the opposite, you emptied the country: its money, expertise, and its labor. I am talking about thirty years of colony, please do the math. As for the illegal deportation, why do you think I am the last one to mention? Ya I was kicked out because Meles didn’t like my eyes color, that also another sad true. You are contradicting yourself. We gave you everything is not a wrong statement. Actually, we gave you back your dignity that was taken away by the Italian colonization. If you want to talk about deportation, let’s start with the illegal, inhuman, brutal deportation of Ethiopians in 1991 when you were doing your guayla 24/7/365. Let’s talk about your government’s illegal activities in the middle of Addis. Let’s talk about the money laundering, the killings and kidnappings by your government in the middle of Addis. Peace, ” eziyam bet esat ale” alu Aleqa Gebrehana. Those Eritrean deportees went back to claim their properties which they accumulated while suffering under Ethiopian colonialism. Peace, I am for peace. However, I don’t let you have a penny more than you deserve. I see no contradiction at all. What I am simply saying Eritrea deserves compensation for the brutal thirty years of Ethiopian colonialism. You don’t need to go to Italia to accept a simple truth. And the illegal deportation is also a slum dunk case that you can’t deport people because you don’t like the color of their eyes. Obviously your defense is not compelling. As for dancing durinng 1991, yes you are right I danced my &$& off, but I was also worried about my big bro Tegadalay who was stationed at Addis helping stabilize the country. We helped you get rid off Mengustu the worst dictator In the history of Africa. In short, without our help, Ethiopia would be totally different country. Be thankful and it is time to pay back. When I was in Addis 1991, I used to hangout at “Shewa Gett” Kassanchis, do you remember that place, it was so good. You have to pay us for babysitting you for 30 years. It was like a full service daycare. Now you are all grown up people to take care of yourselves. We don’t provide adult daycare. We will send you the invoice with payment plans. When I was in Addis, I used frequent Qebercho restaurant until your afagn netsa awchi showed up at that restaurant. Never returned back. As they say, one’s perspective comes from own background and that of Gheteb makes no difference in that it is not only by background (Isayas like) but also by employment (from the desks of Isayas embassy). Despite Gheteb’s good knowledge about the fact that associating with Isayasism would attract him the names, such as irrational, cruel, imposter, culprit, anti-people, anti-youth, anti-elderly, and anti-mothers, Gheteb chose to speak with the same tongue of Isayas against the Eritrean opposition, Ethiopia, Djibouti, and whoever condemns Isayas. So, when one looks at what Gheteb writes, s/he sees Isayas face giving a ferocious tongue lashing without evidential value to the UN, Ethiopia, America, Weyane, Eritrean opposition and the rest of the world. Wow! You have said: “I suspect Gheteb would reject the sisterhood of Ethiopia and Djibouti because those two countries are not in good terms with our regime, in which Gheteb’s world is a requirement to be considered for honorary title of statehood.” This is a spear shot right on his chest and stuck in , and leaving a marker for an identification after the despot is caught. T.T and you make him naked one after the other. Save the other spears to shot him right on his back while he is running away in the final and closing battle. But then you can not expect logics, common sense, and rationality from a run away and a puppet erudite. I just can’t let this pass and I am not merely doing this for the lulz only here, but also to prove a point that I made about the selective reading that is so regnant in Planet Illogic. Here is the quotes in their entirety. ” I suspect Gheteb would reject the sisterhood of Ethiopia and Djibouti because those two countries are not in good terms with our regime, which in Gheteb’s world is a requirement to be considered for the honorary tittle of sisterhood”. ” Wow! You have said: I suspect Gheteb would reject the sisterhood of Ethiopia and Djibouti because those two countries are not in good terms with our regime, in which Gheteb’s world is a requirement to be considered for honorary title of statehood”. ” Never mind your selective reading of my post which brings to question your ability to comprehend what is written legibly in black and white. That, I think, is all the rage in Planet Illogic these days. Nothing new there”. Now misreading and misquoting has become the BANE of Planet Illogic. Why yes, if ኣባ ጓይላ ክትዕ, Amanuel Hidrat is singing to a different tune, all must be going off kilter and out of whack in Planet Illogic. Many a anti-Eritrean force has gone green-eyed on the blossoming relations between Eritrea and The United Arab Emirates (UAE). Their ogle-eyed view of this relations as opposed to looking at it ‘Google-eyedly’ is a testament to the shivers and trepidations that their spines must have been feeling and weathering these days because of the growing Emirati-Eritrean relations. However, the growth and the deepening relations between these two SISTERLY countries is but a result of a natural and dialectical progressions and nothing else. The Eritrean UAE relations did not commence just recently nor did it start after Eritrea gained it’s de jure or de facto independence. NO. It goes way, way back during the Eritrean Revolution. So far as my recollections can go back, I can still vividly envision through my ‘mental eyes’, the picture that I saw in an Arabic monthly periodical in 1983. The article in that Arabic periodical dealt with the visit of the then Deputy General Secretary of the EPLF, Isaias Afwerki to the UAE and covered the Eritrean revolution in much details. In the picture of that very periodical, one saw Isaias Afwreki sitting bare footed and comfortably at ease with the emir of UAE, the late Sheikh Zayed on a lush Arabian carpet. In that very picture, one would not have failed to notice the closeness of the two interlocutors, be it through the body languages and the striking resemblance hinting yet again to the blood propinquity between the people of the two nations. Despite all the protestations to the contrary, Isaias looked nothing less than the first or second nephew of the late Sheikh Zayed of UAE. That the Emirati nation has assisted the Eritrean Revolution in general and the EPLF in particular is a matter of historical records. They have helped our revolution materially and financially. Materially, one can cite many examples in the fields of medicine and transportation and financially there is one example that perfectly captures this very assistance. The UAE had allocated a one million USA dollar (1,000,000 USD) that was disbursed yearly to the EPLF. Yes, many would ask and wonder what is the big deal with the UAE giving a one million dollar assistance to the EPLF? Well, then consider the following scenario. In the early to mid 80s, just before the start of the “Stealth War Campaign” ( ሰላሕታ ወራር), believe it or not, the EPLA has run out of ammunitions, bullets for AK-47 and, perforce, the EPLF had to buy ammunitions from other markets paying in hard currency thanks to the consistent and unwavering support of the UAE. This financial help was vitally important to the Eritrean revolution simply because one can easily see the difficulties the EPLF would have faced if it was not possible to procure those ammunitions because of lack of money. No wonder then when President Isaias Afwerki in one his state visit to UAE, he has paid his respect by visiting the grave of the late Sheikh Zayed accompanied by the ruling families of the UAE. One can see the families of the late Sheikh Zayed rendering the Islamic Invocation (Dua) for visiting the graves while PIA was bowing his head in a moment of silence quite redolent of the EPLF’s ዝክረ ሰማእታት. The bond between these sisterly countries is that deep and that strong! The help that the UAE rendered to Eritrea after independence are a dime a dozen to enumerate here. However, I will try to mention the salient ones here. (3) The recent scholarship that the UAE granted for over seventy Eritrean university students to continue their studies in UAE universities. (5)Eritrea and the UAE plan to expedite cooperation in ports development, energy, agriculture, tourism, and human resources development. (6) The co-operation between the Air Lines of the two countries. The infrastructure development that is underway not only in the Assab port, but around the Southern Red Sea region is a step in the right direction for Eritrea and this seismic shift in the Red Sea region is going to strengthen Eritrea’s hands not only economically, but also militarily and in other security matters. freedom so poor political and social development. It is therefore better to look at a NUMBER of different measures of development of places or a nation before coming to a judgment about its level of development. The most powerful individual number or measure is probable the Human Development Index, because it combines together economic and social measures into one figure. However, I quite like the Happy Planet Index as an alternative! Surely if people are ranked as happy then their country or region is developed! The Yemen crises will not bring any golden development to Eritrea and be easily resolved by any means from this time on wars because the dispute/fight is between the two big religions of Muslim, therefore this issue will destroy human resources and other resources of our country. I strongly believe that the final result or consequence of the religious war in Yemen will be a complete destruction and disastrous one not only to the Eritrea but also to all the neighbouring counties of Yemen. Based on the indicators and the development measurement parameters in general our country – Eritrea is losing its quality and quantityof human resources and other resources. or serve the post IA transition of the country’s politics. and dreaming of on the other hand. minimized in the post IA Eritrea, the more better it is or will be. take the whole thing down to the ground in a minute. work of a single person single handedly brought down the whole Org. democratic principles to take root and help solve many problems. As you might have noticed from various web-sites, there is a lot of activity in and around the port city of Asseb. You can see this on google earth/maps for yourself. It is really amazing in a space of a few months, a big camp has been raised around the landing strip to the north west of the port. They are even building what looks like a docking site for ships/boats in the same area. It appears that the Yemen crisis has indeed proved to be a gold mine, and a life-saving affair for the Isayas regime. I think the regime is going to exploit the situation and do what it could so that the crisis is not resolved anytime soon. Yes, by all indications, that the Emirati-Eritrean relations is gaining momentum and the relations between these two sisterly countries is growing strong. The UAE is expanding the logistical hub in Assab and more developments are underway in the Southern Red Sea Region of Eritrea. The Mederk folks through their radio station are saying that the “PFDJ regime” is dying as we are witnessing these developments in the Assab region. What a contrast! I think it is high time that those who are daydreaming about the death of the “PFDJ regime” to wake up from their daydreams and smell the dust from all the construction that is going on in Assab and the Southern Red Sea region of Eritrea. Our sisters are Ethiopia (our ቦኽሪ ሓፍትና), Sudan, Yemen, Saudi kind of like a half sister. We do have a little sister too but she is bigger than us now, not physically but mentally and her name is Djibouti (the D is silent in case you have forgotten). She is very cute but she doesn’t take no shxx from her big sisters. I have a post coming your way pretty soon about the Emirati- Eritrean relations and I hope to show beyond a shadow of a doubt why I am of the opinion that the relations between Eritrea and the UAE is a sisterly relation hook, line, and sinker. Hi ‘Gheteb. I eagerly await. I am all ears and hungry to learn new things. Don’t make anything up though. Thank you! Simple questions you ask Lady Saba. – Release all prisoners of conscience bzey waal hider. – Declare all Eritreans to be equal. Muslim, Christian, tegadalay-neber, warsai, gebar, men, women, diaspora residents, inside country residents. Everybody is equal, no ifs no buts no exceptions. 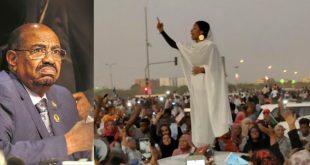 – Once, it is completely practiced that every Eritrean is equal, then we are ready to draft constitution, hold elections, and happy life thereafter. -parliamentary/presidential, who cares. We will employ Eritrean experts to look at that. – begin process of indicting all PFDJ and EPLF officials who caused the suffering of Eritreans directly or by their acquiescence. Even anyone who didn’t show any compassion while Eritreans suffered will be charged. Yemane G. Meskel is guilty of this by virtue of April 03, 2016, that’s an example. Abolish the 2% diaspora robbery and repay every family who paid. This is to be paid by confiscating all PFDJ assets, not by re-taxing poor Eritreans again. 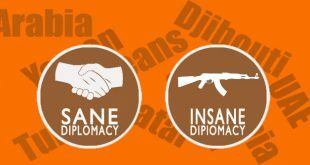 Normalize all international relations without any delay. The answer to your question is as simple as ABC. the reason behind why there is no a dependable opposition leader so far is because of people like you who are infiltrate in every life of the poor Eritrean people by the kleptocratic regime in Asmara. Even if this regime’s time is up and Eritreans are given a chance to lead their own country, either it will take them a very, very long time to clean out the mess that would be left by the out going regime or they will go into an endless clan war once again like Congo, Somalia. Your obsession with vision is killing all members of Pro-One eye, One heart, and One leg club. For your information, if a government’s vision does not hold the nation together it is not considered a vision. Accordingly, unlike the fragmenting and depopulating vision of Isayas’s system, the opposition’s vision has 99.9% reality. The opposition vision is just to have a government that allows people to exercise their rights fully. A government that provides honest, just and fair treatment of all people ensuring their participation in the government’s constitutional checks and balances. A government that guarantees each citizen to live peaceful life and be held accountable for own actions as well as to respect other’s rights including government and politicians who are also held accountable for their actions. A government that allows the people to freely work, own business, produce food, and enjoy the returns of their work freely as well to leave and return to their country freely. I already explained that even the Emperor Haile Selassie chose to be protected by constitution rather by criminal generals like in the case of Isayas. In comparison, while the absolute rule of [king] Isayas that claims total monopoly of all decision making cannot be expected to provide any right or to have vision but only to be putting roadblocks to the people’s right to live their life as human beings. I think the point of the discussion is about whether the opposition groups are competent and ready to fill a power vacuum given the groups are not organized, have almost no public support, and suffering from lack of strong leadership, and the answer is pretty much obvious fill in the blank. Otherwise PFDJ is this and that is so yesterday. Speaking of opposition groups, you said “The opposition vision is just to have a government that allows people to exercise their rights fully. A government that provides honest, just and fair treatment of all people ensuring their participation in the government’s constitutional checks and balances. A government that guarantees each citizen to live peaceful life and be held accountable for own actions as well as to respect other’s rights including government and politicians who are also held accountable for their actions. A government that allows the people to freely work, own business, produce food, and enjoy the returns of their work freely as well to leave and return to their country freely.” Good, simply common sense. Now, why do you think we have over 30 different groups for that beautiful vision you just stated? Saba wanted to know whether the opposition had vision for the country and you endorsed her question. You both didn’t explain the regime’s vision but wanted to know about the opposition’s vision. Because what I only know about the regime’s vision is that Isayas has made the country go into deep sleep, silence is needed. To enforce the needed silence the whole population is put in prison. Since you didn’t provide the regime’s vision for comparison, I cannot comment. But I can say what is wrong with the regime’s vision from everyday life in Eritrea. -To rebuild a nation and to put the whole population in prison does not absolutely go together. -To want the people do what you tell them to do does not sit well with starving the people and denying them all the necessities to stay healthy. -To wish to let the Eritrean Diasporas participate in nation building cannot materialize without relinquishing the control of their movements when visiting the country to check and ensure whether their wired monies are well spent. -To want envision each citizen to lead a successful life cannot be possible by making the people hate themselves and plotting their death. -To want each citizen to get out and lead a life cannot be possible by denying rights to freely eat, drink, sleep, get up, think, plan the day, go to work safely, interact without fear, return to family back by end the day and prepare for the next day peacefully without fear. -To want to have a healthy nation cannot be possible when citizen are denied access to health services and healthy food. But the arguments you are proffering grievously suffer from what is known as “Parmenides’ Fallacy” ! Good points! The thing is there is an obvious leadership vacuum in the opposition group(s) itself and perhaps that could be the main reason why no tangible progress has been made. I don’t think there is an ideology difference within the groups other than scrambling for power as if it will be a piece of cake, and needless to say, it only indicates the problem is not going to go away even with the departure of PFDJ. So in other words, the opposition groups need to fill its own leadership vacuum first before even thinking of post PFDJ era. The legacy of PFDJ is also another grave concern hovering around every Eritrean head. I work Mon-Fri from 8 am to 8 pm. I leave home at 6:30 am to avoid traffic and do not get home before 10 pm. On Sat I work until 3pm. Sundays are reserved for family. So there you have it, the whole week is gone. I try to read awate during my one hour lunch time on my cell. In addition to my work and voluntary job, I have started a manufacturing company in the town I grew up, to help out my old friends and Eritrean returnees. Although I funded, designed, and still manage it, the ownership is left for them. The company only bears my name. I started out with two production lines and since then have been adding three more production lines. As you can see, the life of a security guard is hard!!! Dear Berhe y Aman H & Co. I read your one-two about constitutional democracies. While your takes are yours; it ultimately should be left for the people to decide. In fact the discussion should be how to bring every representative of the people, from every corner of the country to the negotiating table, to hammer out and decide which way they want to go. The EPRDF thought to have achieved this using ethnic politics (while invited, the non-ethnic affiliated parties refused to come to attend.) But in the process, it left out the most dyanmic and educated segment of the society-the urbanites. Ethiopia is big and can afford to do so (and it did) but Eritrea cannot. Hi Dis Donc, just let you know, AMAN is BACK. First I appreciate your efforts to help your fellow citizens by starting a company and employing them. That is a job well done, that should be followed by all who have the capacity to help out. I aslo agree with your points on the future government structure in Eritrea. The diaspora Eritreans have the chance to discuss issues related with the future political structures; and there is nothing wrong with such discussions. However we have to remember that such issues belong to all the stakeholders; even more to those who are living inside the country. The eventual solutions would, therefore, only be hammered out with delibarations of all stakeholders after the current impasse is overcome. This means our first job of the day should be to prepare the atmosphere for such political discourses by removing the current dictatorship. Dear DD and Amanuel H.
DD congratulation and job weldone. As to the discussion of the constitution, I after that will be left for the people to decide, my opinion was based on our last constitution. And how we ended up settling with that type of constitution. 2) Election will be fine to elect the people representative and those elected (assumed the party with majority) elect the leader. I had absolutely no idea that those elected (all together would vote for the president including those people who are opposed, otherwise why would they be part of different party to begin with). In May 2001 I was in Eritrea before the arrest of the g15, and I read the draft party formation. It’s a fine document and I think it would defiantly force the so many to unit and form a bigger parties. The president had interview with the private press and it was advertised ‘four hour interview”, at the time the election was to be held in December 2001. There was also the 2 term limit etc and so many was being said and I thought the president has enough confidence for being tilarent of such wide views. For example in the interview when asked about two term limit and why was necessary, if u recall he said “I even say why should be two terms, I think 1 should be enough”. During the public meeting with the constitution commission, I think the focus was on national language, and the lack of participation of the different group, which were legitimate. As I was leaving Eritrea a copy of the constitution was on display at the airport in Tigrina and I bought a copy. That is the first time I read the whole document on the long flight. Then I paid attention to the power of the president, how the superem court is directly controlled by the president office (with the commission that is established by the president and how it has really higher power and make the judges at the mercy of the commission, their salary, their term limit (not for life), how they can be investigated and removed (even by false accusation). What type of constitution is this. Then I paid attention to the way the president is elected and how there is really NO opposition party at ALL. Actually it reminded me how the DERG in the last hour tried to do election, all belonged to the WPA and Mengie was elected (even he run an election) but the two people who were suppose to contend with him voluntary withdrew as they can’t see themselves equal to the “great leader”. 1) we don’t really to know everything in the constitution, I am sure those drafted and those who will implement know what yet are doing. 2) I didn’t really read the details and understand fully but I am sure it’s better than what we currently have. I am not saying they I know better that most people but I really do not know why are we to settle to this when we have so many others that we know that work to chose from. I mean Dr. Bereket was with the Nigerian constitution and see what they got. It’s lack of knowledge but rather, I think there was no desire from Isayas and company if it was not to satisfy to the donors but it’s controlled by EPLF anyway. With this in mind, I think it’s good idea that this important document gets discussed and all options are explored, that would help later on. Two things to make it clear as to the purpose of debating on the strucure of government and the insitutional rationship of the governmenal units. First and formost the constitution is a political document before it becomes a legal document and hence it is subjected to political scrutiny. Second, when we debate on a constitution, it is not for purposes of drafting a constititional document. But, it is for purposes of educating and informing the public. An informed public will make an educated decision and choice on what kind of constitution will address the interest of all stakeholders, the harmony and unity of our people, and protecting the sovereignty of the state. So educating the public is quintessential. Third, in the process of the 1997 consitutional document, the general public was cheated and the stakeholders were banned from the political process, in drafting the constitutional political document. Again I want the public to understand that a “constitution ” is a political And a legal document. It is a political in its process, and it is a legal after it is ratified by an assembly of popularly elected assembly or parliament. Hi Amanuel. I was able to quickly learn that you are very interested in constitutional process and public participation and education in drafting the ultimate document. When we get to that stage, you will surely be a good asset. I would not hesitate to nominate you to head such a task as drafting the constitution. tir elka occhiali endyu emo koynu. It is very hard for me to see that far in the future at such a deep level. I have a tunnel vision and I am laser focused on PFDJ. Oh well, but who am I? Such a lowly citizen with countless nicknames, as is being alleged here by top commenters. *The constitution was an outline of the laws of the country; it didn’t and couldn’t contain absolute all details of the laws. Hence many issues were deferred for the future democratic assembly that would be elected according to the principles of the constitution. Issues such as opposition parties, etc were to be handled later on according to the election law. And as you witnesed the election law that was promulgated clearly detailed the process of party formation and multi-party contest. According to the constitution, to be nominated as a presidential candidate, one would have at least 20% vote of members of the assembly. This means there would be at most five nominees for the post of president from among the assembly members that would come from various parties. And the president would be elected from among the nominees by an absolute majority of ALL assembly members. This means if a given party has an abosute majority of the assembly, its candidate would most likely win the presidency. But this scenario is less likely in a polarized political atmosphere with various parties of with different platforms competting for the presidency. Hence there is a need of co-operation or consensus among the various parties to agree upon the most popular or acceptable candidate for the presidency. In that case each party’s role indeed has value and it matters. *The Commision that you mentioned was not to be named by the president; rather its formation and powers were to be determined by the democratic assembly later on. And, yes, the president would appoint many high level officials including ministers, and the Chief justice of the supreme court; but they would take office ONLY after the approval of the national assembly. *Also remember there are articles on checks and balanced between the powers of the executive led by the president and the national assembly. In fact supreme power is held by the assembly and everything that the president does has to be approved by the assembly to come into effect. There is even an article that deals how the assembly would remove the president from power by two thirds majority vote; if and when the president is found guilty of things like violation of the constitution or grave violation of the law, etc. I think you need to re-visit the Constitution; you can easily get a copy of it on the internet. Just simple question to have clear understanding on your take, and that is: Do you mean the 1997 constitution is a uniting and rallying factor for the Eritrean people? if yes how? if no, what for are all these justifications you made in your comment? If it will be a rallying factor in the future, why it didn’t now? Sorry for my belated reply; but my short answer is that I’m not commenting on the Constitution from 1997 as a rallying factor for Eritreans. I’m simply trying to give my level best opinion to the querries/misreprsentations raised by Berhe regarding that document. I am not trying to misrepresent the constitution, and I am no legal/constitution student or expert. To me the constitution has a lot flows, that I don’t see how it will work unless all members of the parliament / representative belong to the same party. And if that’s the case, we should stop these pretense as if we have a parliamentary / presidential mix constitution, and call it for what it is, A single party parliament (just like Cuba, China and other communist like countries). Time permits I will review again and continue to provide my feed back. What if none of the member are willing to co-operate to elect the president other than their own member? Are we going to take your word for it or any good meaning individual? I think this is absolute wrong, we should NOT trust anyone to do anything for us because of his FREE good will. We have to a system/ a law that tie all of us together and if there exist such good meaning person, then he should get that mandate from the people in the ballet box? This too me is just a waste of time that has absolutely no benefit, and no value what so ever worth, spending time with. What’s the advantage of this type of system over other forum of government (e.g. parliamentary or presidential) can you please explain? To , I think the party with an absolute majority needs to elect it’s own leader, the opposition parties have absolutely nothing to do in support or endorsing a president that they oppose his platform in principle (otherwise they should be in party). It’s a conflict of interest from the start. In the absent of absolute majority then, two or more parties have their internal discussion and forum a minority government (and let them do the back and forth deal), for their own selfish benefit. Then we have the president / prime minster how ever you want to call it, that’s head of the government and we have an official opposition (those who do not have anything to do with the prime minister) who will hold the government responsible….. So far the best answer that I heard talking to people who seem to support the “idea of implementation a constitution”, without fully understanding it’s consequence is. 1) Well the National assembly have the power to impeach the president. 2) the National assembly can change the constitution with 2/3 majority. Abraham that’s not what you said but I would like to hear. But this approach are the last thing we really wanted as a solution of simple issue of conflict. It should be the hardest thing to do for our country to take action as large as impeach the president or change the constitution, that I think these measures are needed if and only if our best and brightest supreme court judges are not able to come up with a solution / judgement to deal with a complex measure that our political leaders are not able to solve. Good job big brother. I am happy that you are helping on high level. Just go ahead and do not forget to drop your lines whenever time permits. Dear AT. I am hereby declaring that, I will no more stand by as I get defamed left and right by your loyal forumers. I am Lamek and no one else. I will chase and harass Nitricc, tes, Ted, and peace and whoever else defames me. If you guys don’t like me to defend myself in any way I want, eye for an eye, then I will gladly oblige if you block me but I am warning you, I can make it super ugly here if you guys don’t step in and make a stop to this childish game of chicken. It’s sad that Mahmoud Saleh, whom I respect, is who got this stupid thing started. stand up and keep going, Never give up. you are doing fine and don’t worry about the names at all. Just concentrate in your principle. I love all your posts. Your strength should better be demonstrated in convincing those with opposing views. Please don’t resort to “eye for an eye,” because that would leave everyone of them without eyes in just two responses. Come on now. I have already apologized, and have since been addressing you with the nick of your choice. I also read your “take your Shaebia ShiTara somewhere” remark. Apparently, you are going to ship all those who have association with regime off to a collective trial and you believe that there is such thing as guilty by association. This is where I admire the great Ted, because he is careful on what he says. I admire some of your inputs too, that’s when you are not totally soaked with emotions. SAAY once reminded us not to reply when we are drenched and wasted with emotions. I think it’s an advice worth heeding. Regarding your reply to my previous reply to KS, here is what the unemotional Lamek would say. First you have to have a probable cause to arrest someone, then charge comes, trial is the next step; not accusing everyone that happened to be working with PFDJ, not by association, but based on individualized basis. We call this a due process. That’s exactly what I tried to say in the comment that you replied to. It is a weekend, and let me prod this thing a bit farther. Yes, the nick issue. I’m on record saying SORRY for starting that “stupid thing.” I thought you accepted that, if unsure of my sincerity, here is a continuation. A “big uncle” advice: don’t worry about people accusing you for changing your nicks. Sometimes, we get a bit wild and I think that’s the occupational hazard, so to speak, of joining a forum. Some of us don’t have the liberty to behave mischievously, even under tremendous pressure, because we are open about our identity, and it could also be a matter of character. Therefore, I know that whatever I say could be challenged by another reader , somewhere around the globe, who knows the event I’m discussing. Therefore, that keeps us to be as honest and truthful as possible, that’s in addition to personal conviction and character. Some have the liberty of camouflaging under nickname, it all depend on their character. As for me, I am here always. Do not chase me. On harassment, I think Awate Forum has rules to be observed. To state that logic is exiguous in Planet Illogic is only to state the obvious and to reinforce a glaring and manifest reality. However, if you are a denizen of Planet Illogic you are not only oblivious to this regnant reality, but you are becoming more destitute of vision, literally. Well, the Universal Sun is still shining, but paradoxically Planet Illogic is still cold and dark from the paucity of the Universal Sun shine. Otherwise, where else but in Planet Illogic would a writing that seemingly emanated while someone was in a state of a drunken stupor would be deemed as an apt encapsulation of the events of the past two to three weeks. The précis of the arguments rendered as penned by the doofus, the bumpkin denizen of Planet Illogic, otherwise named as Tesfabirhan Redei (Tes), is a gross misrepresentation replete with inaccuracies, riddled with wishful thinking and capped with the acme of illogicality which is the hallmark of all and sundry of the denizens of Planet Illogic. Well, amaurosis is partial or total loss of sight and many a denizen of Planet illogic in their typholitic state “envisioned” that the bumpkin Tes has partially regained sight in one of his eyes and thereby was enabled to tell his fellow denizens the objective reality, the happenings and the going-ons in their neck of the wood in particular and in the Competitive Planet (CP) in general. However, this is only a testimony to the fact that indeed the Tigrigna sentential “ሓደ ዓይኑ ኣብ ዓዲ ዑውራ ትንጉስ እዩ” is becoming more relevant in describing the pathetic state of Planet Illogic. Otherwise, what the bumpkin Tes barfed in his state of stupor can be readily confuted by way of only these two counterpoints or counterexamples. (1) Here is the bumpkin Tes’s inebriated mind ‘creating’ a pure and unvarnished falsehood. ” 20. Amde and Gheteb are building good communication lines”. This is a through and through LIE that could only gain acceptance in Planet Illogic where its denizens lead a life utterly bereft of logic and anything even remotely associated with the process of logical cogitation. Nothing can be the furthest from the truth as I have absolutely nothing to communicate to those who hail from Planeta Abyssinicus and espouse it’s virulent political outlook known as Abyssinian Fundamentalism. The bumpkin tes when challenged by Kim Hana ,well, opted not to raise to the occasion and preferred to engage to his likings such as not following his own advice that he dispensed to others. It is not only tes who is preferring to remain tongue-tied about Abyssinian fundamentalism these days. There are some who are trying to expedite their application for a refugee status in Planet Illogic. Well, they are expecting that their application for a residence in Planet Illogic will receive a favorable view if they chummy up and kiss up to those who hail from Planeta Abyssinicus and by belittling and making snide remarks about those who oppose the gargantuan hoax and the source of all instability Abyssinian Fundamentalism. (2) Here again, the bumpkin Tes making the most outlandish and the most illogically bizarre claim. ” However, very recently an argument developed by Gheteb was really non-human”. Forget about everything here. Do “non-humans” are even capable of THINKING and “developing an argument”??? Well, let me even take close to the home of this bumpkin. Imagine that the bumpkin Tes was looking after, shepherding, some goats in Adi Berbere ( ዓዲ በርበረ) in the environs of Ela Bereid (ዒላ በርዕድ). Let me also concede here that even the bumpkin Tes is capable of developing a good argument to present to his mother of the kind of dinner he would want to eat upon his return from shepherding the goats in the evening. However, the goats that Tes looks after are “non-humans” and are incapable of thinking, much less of formulating an argument to be made of what kind of grass they want to eat for dinner. Only a denizen of Planet Illogic would assert such a mind bogglingly illogical claim that “non-humans” can think and are capable of processing an argument. And, the other denizens of Planet Illogic will greedily slurp such illogicality as if it was a delectable kitfo or a delicious coffee coming from Planeta Abyssinicus. Oh, well, and the ones waiting eagerly for their refugee application to Planet Illogic will also happily join the ceremony. Aha, you see, i know how to punch you hard. Though you tried to SEVERELY IGNORE ME, it is impossible with tes. Minor correction: My grandfather’s name, REDIE not Redei. Please, do avail yourselves in noting that the village idiot of this Forum, the bumpkin Tes is self congratulating that he in his own words saying ” it is impossible with tes” and that is no one is capable of ignoring him because ” [he] knows how to punch hard”. And nothing else in defending his puerilely sophomoric claims that was laid to waste. I guess the AA of Planet Illogic is not doing a terribly good job in helping this bumpkin deal with his incontrollable affinity to libations. What happened Gheteb? I though that the boofus, bumpkin Tes is done with you. Why are you doing self-talk in this crowded forum? I invite you to join them. Your arguments are becoming numb. Com’on Gheteb, I thought that you will come with something useful to the forum. Let the bumpkin and village idiot Tes be as you said. Just move on. Do not be carried by his personalities. If you are courageous enough challenge him on the gross rebuttal he has for you. Whether you are human or not is an issue here. What you said for the cause we are here for is my subject of interest. Is it possible for a blind man to drive all the way from Asmara to Talataasher? Your post is exhibit A that weak minds get easily boggled. If a vacuum is created in Eritrea (no one in power, including IA)what will you do? Ok may be your first response will be to complain to IA that a vacuum should not be left:) But then? Don’t you know if a country has a system even a child can be a president. It is the system that works effectively. That’s what the opposition is fighting for. BTW, the Eritrean opposition has ready in place a system for post-Isayas. Their system of checks and balances (where the judicial checks on unconstitutional practices through checking practices, reviewing, defining and checking limits of powers of those in the executive office and the member of the legislative). In case of a federal system in lieu of the unitary, the opposition knows how to replicate the system in the federal states and when/how to elect the federal and state executives and legislative members. you both have opened very important discussion. please keep going. What Saba is prescribing, for post-Isayas Eritrea, a small-shop-administrating-system like that of the current Isayas’s system. Currently Isayas is running Eritrea like a small shop: he closes it when likes denying food and water, and opens it when he feels like. While I fully respect your stand and support but again I am optimistic Saba is going to coup her worries on opposition and your encouragement maters. This can be in open dialog . some friends are challenging us not because they support PFDJ but it is their way of searching the truth and the secured way. And who will be better than you with so high knowledge to show the correct path ! I love you T.T. The PFDJ should know that we are not without reference as to what is better and what is uglier than Isayas’s rule. We can bring up the Turkish, Egyptian, Italian, British and Ethiopian rules for comparison with Isayas’s rule. Even the Emperor Haile Selassie chose to be protected by constitution rather by criminal generals like in the case of Isayas. The Emperor Haile Selassie used to say YeGna, claiming the people and the land as his, yet his gift of the constitution to the people meant that he wanted to be subjected to some rules that made him look like a human being. In comparison, the absolute rule of [king] Isayas claiming total monopoly of all decision making including denying life to the people (no food or water) and decreasing prices through confiscating all monies in the pockets of the people. Neddless to say which oppositions group are you referring given there are plenty of them scattered everywhere? It is really good question that need to be addressed, the sooner the better. I hope a bright future will come. And definitely will be, if we stand against our enemy together. Hi freinds. Speaking of prisoners, Assenna has some good news for all of us. The chains of tyranny are melting like ice slowly. I wish all wardyatat would follow suit. And sixteen priests of Eritrean Coptic Orthodox Church are arrested on 15/04/2016. Hi tes. I didn’t see this terrible news anywhere. What’s your source? Thanks. If you are have seen my post bellow in Tigrnya I have mentioned 13 were arrested – that I have confirmed from the reliable source till one day back you can also see assenna and salina if you don’t have contacts in side Eritrea. I will check if there are more. By the way I am interested to see your view about my post. please put your suggestion or anything you want to correct me. Is it true that Lamek is Ermias, VF, Biniam, Mizan, ……. You have a good test of making beautiful nick names. What’s new any update, been a bit busy. I know you are far away from the line of thinking of the hardline PFDJites (like Gheteb, dawit, Nitricc, Hope, Ted°) and in better position than Semere Tesfai who is imagining stupid generals and stupid forced military conscripts in democratic Eritrea. This days, no Woyane Issue and hence nothing concerns you. 1. On 03/04/2013, Eritrea experienced <strong<Black Sunday Day". saay7 associated it with Boston massacre (in case you can consult saay7 for more details. On this tragedy, 13 forced military conscripts were shot by armed military guards and 16 more were wounded. “Thes stupid (cowards as some used to label them) National service members deserve such punishment as they were responsible for trying to jump from trucks.” Nitricc as usual could not understand why they decided to jump from the trucks. Though he failed to understand why he didn’t hesitate to show his conformist mindset and agree with the decision taken on these conscripts. 3. Ted is silent. He didn’t express his condolence. He tried to back-up Nitricc to sme extent. 4. Fanti Ghana, shocked by the incidence and in total puzzle of such the incidence of this tradegy, he promised to come with a noble article. Everybody here is expecting him with an open mind. 5. Mahmud Saleh has shown us his best/pure mind of justice. He has almost purified himself from the old EPLF mindset. Not only this, he wrote an eye-opening historical narration of PFDJ agent who is now working in Eritrean Embassy counslate in UK, Mr. Suleiman, a man who was unable to stand in the front and late deserted. Now the consulate is the chief agent of Eritreanism in London and its environs (Zebere Grinbit – as MS called it°. 6 saay7 and Amanuel Hidrat started to communicate through private e-mails. saay7, wrote three warning letters in response. “PFDJ will not hesitate to shoot Eritreans on day hours . Yet Semere Andom’s advocacy against PFDJ criminal acts is alarming. 8. Saleh Ghadi is trying his best to communicate less. If he did more I think he will go back to his smoking era. 9. T..T. is becoming the champion of reasoning and purity of lines. His lines are more than ever strong for justice. 10. Lamek, aka Mizaan, Ermias, VF, what ever he/she is becoming a crap from day to day. he tried so many ways yet he failed to hide his identity. 11. Abi, he couldn’t stand. I think his proxy-war with “tes” did bad to his brain. Semere Andom is on his investigation to send him one DNA nucleus. 12. Kim Hanna, though his previous lines were more rational, now he is becoming pure arabophobia. I think he joined Eyob Medhanie camp. 13 .AMAN said goodbye to his comrades and now is working for the people. I think he is tired of group thinking. 14. Hayat Adem, she is busy again. 15. Kokhob Selam, his lines are punching PFDJ so hard. Recently he is working more on Tigrigna and geez numbering. Of course he did not fail to shower us with his beautiful poems. 16. AOsman; he seems busy. 17. Hope and tes continued to have hard time against each other. Hope’s denial for his uncle is one of the recent subject of interest. 18. Gogo is again visiting with his purified comments. 19. Dis Donc, I think he is busy on his business these days. 20. Amde and Gheteb are building good communication lines. NO WOYANE issue, therefore stay cool. you can either join us or wait for my updates until woyane issue surfaces again. 1. Dr. Sara Okbay and Tzigereda are always with us. Dr. Sara is still in a puzzle of understanding on PFDJ’s extent of crimes. May be her motherhood is influencing her expectation of love and care. You know mothers are always loving and kind no matter what their children do. Tegadalit Tzigereda is always with us and dropping her best lines. 2. Saba is coming with new labeling. I don’t know to which camp she belongs. 3. sara: her arabic command is putting her in a right spot. saay7 is paying attention to her lines. + this is not exhaustive. If I miss any, any awatista is welcome to add. Thank you really appreciated, bro. Ya of course I heard about the killing it is just as sad as it gets:( But at the same time what would you expect from a brutal government that kills its own war veterans, nothing except more killing. Seriously though what’s really shocking is that we are failing to stop the killing, not only that we can even stop pfdj from sponsoring public meeting at our backyards. Isn’t sad???? Look the Ethiopian brave activists and justice seekers: they are kicking every weyane cadre and preventing them from holding any public meeting, proud of them!!!! Hi peace,how YOU doing. How do you manage to escape from “hard line thinking of PFDJits” lable . i don’t know much but , it coming from tes, you must be doing something wrong opposing PFDJ. Thank you for the warm welcoming. Hi Amanuel Hidrat. the thing is, we have far too many bouncers for a club doesn’t exist. Why surprise when discouraged people go their merry ways, maybe to “branched road”? If only i knew the “road” you talking about but i don’t..
You know between bad and good, between justice and injustice, between good governance and bad governance, between criminal and innocents, between government and people. Those are the values you weigh them and take a clear stand on the choices, as each set has two opposites. Governments are evils if they are not challenged. So always take side on the grievances of the people. – at least the safest argument. Hi tes, it is freaky how well you remember what been said, yet unable to reconcile the ገረውረው inside your head. I am not indifferent what happened to the kids in Asmara, unfortunately when people are measured with your Outrage-O-meter, no one seem to matter. PS. just you know, i am off the charts outraged that a team no one will remember in a few years ever existed had broke the record of the biggest team of mankind ever witnessed. It is not OK. You don’t see me screaming about it because some times things cut so deep, just make you appear “silent” or “a little outraged”. Now you and Others know. “Hi Nitricc, there is no justification for killing unarmed people whatsoever that the Gov has an explanation to do but they won’t. On the other side, here is where the opposition come to defend the people but they won’t. I agree, what you mentioned about the toothless opposition. RIP kids.” I read similar tone and expressions dispersed throughout your comments under this topic. And what you have just said: ” You don’t see me screaming about it because some times things cut so deep” should be enough. I took tes as a weekend edition and up voted it; I also up vote your reply minus the personal stuff on tes. I wish if we could avoid personal wrangling while discussing a serious issue. * ever hear the expression and song “the first cut is the deepest”? Hi Saay, proactive funny stuff, wait until we break it down for you why it doesn’t count “…the only toe Scotie pippen has left is two bigs and a pinky” brilliant. You know what ! the future Eritrean scientists are going to study the brain in your head to know how it was working. let me ask for them permission … I wish to sit with you and have a cup of coffee just to hear you talking while watching at your eyes ! WELAHI! Please listen MS. Stop going after personality that you have invented. I won’t mind you if you describe me on my politics. On my personality, well, for sure you will fail terribly. On what I read between your lines, MS has pulled what was in my mind while highlighting your weekly events. excellent. almost 96% perfection – you got very nice telescope . Lol..My God! how deep are you following us man! Awate University is my world. How can I miss each line? By the way, I read between lines. You literally read between the lines. tes, you really don’t have better things to do. You are a sorry axx loser. Stop writing as you do your bar-hopping. Fat axx! You are the last person I expected would miss the generally humorous intent of tes’s post. Are you one of us souls who do their taxes on the very last 5 minutes of April 15 year after year no matter what? I had the craziest week including driving 4 times in 5 days to hand over a piece of signed paper this and that to my accountant. Our company had changed payroll company mid way last year and I didn’t know it meant I had two W-2s. So, when I thought I was done with the nightmare, my accountant calls me exactly at 3:45 PM yesterday to ask me why my taxable income look half of last year’s and any year before that. I asked around, found out the problem, I gave our office manager one of my “do I know you” stare when she was handing me my “other” W-2s, drove like I used to when I was your age to get to my accountant before 5:00 PM, to only find out that the deadline has been Monday April the 18th all along! I complained to my accountant for his betrayal of our friendship by fooling me to do my taxes 72 hours ahead of the deadline. So, I will assume that you were replying to tes and doing your taxes at same time, in which case, we all forgive you! Dear Fanti. I have nothing to itemize (I just claim the standard deduction) so I do my tax returns with my eyes closed and takes me maybe 20 minutes. But I do tax returns for at least two dozen Eritrean families for free every year. It does get hectic. I did my last one last Sunday this year and closed my temporary office. Speaking of office, be careful to not ‘claim home office.’ That is the leading red flag trigger for IRS audits. Welcome to the real world of the character named tes whom I have invariably referred as the bumpkin tes as he is nothing more than that. Never mind his content-less comments and the poorly and ill concatenated sentences that he pens, the theme-less and content-less stuff that he barfs in this forum are utterly bereft of any rational thought. Tes is surely the village idiot of this forum, no doubt about it, although Tes is useful in the propagation of the illogical views of Planet Illogic. Lest people think that the term “village idiot” is a bit too derogatory, here is the exact definition of the term. a person of very low intelligence resident and well known in a village. I think my report will not be complete without mentioning an argument developed by Gheteb. For the last 10 years (2006 – 2016), I have come through infinite arguments. Some of them were shoking and few very stupid. Nevertheless at the end of each argument, I see beauty of human thinking. However, very recently an argument developed by Gheteb was really non-human. It is for the first time in my life that I saw human mind being so ugly. This philosophical question (according to Gheteb’s Logical thinking) was raised in a testimony given by Mohammed Hussein Alamoudi and then translated and posted by AT here in this web. And a priest farmer with his entire family and 150 cattles crossed to Ethiopia. The Ethiopians joked saying they will need to create new laws for cattle asylum seekers. Source: Radio Erena interview with Dr. Mirjam Reisen. PTS, how dare such a muzungu talk about Eritreans as such! Where is saay? His attention to this matter is urgently needed. this is the best news “ምስ ዋርድያታቶም ተሰማሚዖም ” . * ብዛዕባ ወለዶም ተኣሲሮም ዝተሰዱ ህጻናት ድማ ከምኡ :- ወረ ገሊኦም ሲ ዓብዮም ክንዲ ሰብ ኮይኖም ኣለው ! ክቡር ኣንባቢ እዚ ንቅዝፈትናን ብርሰትና ካብ ነዊሕ ግዜ ጀሚሩ ኣብ ቃልስና ተሓንጊሩ መንደዓት – ዝፈጸሞም ገበናት ብዓይነት ይኹን ብዓቐን ኣዝዩዮም ብዙሓት እዮም :: ጠንቁ እንታይ ኮን ይኾውን? ንምታይ ህዝብን ሃገረን ንምጥፋእ ክንድዚ ዝኣክለ ሸርሕታት ክፈጥር ተበጊሱ :: ኣብ ልዕሊ ‘ዚ ህዝቢ ዘለዎ ጽልኢ መንቀሊኡ እንታይ እዩ ?ዝብሉ ሕቶታት እዮም ሕጂ ዝውሕዙ ዘለው : ብርግጽ ኣዝዩ ኣገራሚ ጉዳይ እዩ ገለ ‘ኳ ኣሎ : – ካን ድኣ ብሓደ ኣፊቱ ! ብጾተይ ከ ኣበይ ኣለው ? ግን እባ — መሪሕነት መድረኽ ብዓል መስፍን ሓጎስ ብዛዕባ እዞም ብጾተይ ክሓቶም ብጀኹም ሕቶይ ኣጋውሑለይ : – እዞም ኣዝየ ዝፈትዎም ብጾተይ ንሳኻትኩም ኣብ ስልጣን እንከለኹም ተጨውዮም : ብጾተይ ኣበይ ኣለው ! ብጾተይ ናበይ ወሲድኩሞም ?ኣዝየ እየ ናፊቀዮም ዘለኹ :: ኣብ ቲ ግዜ ቲ ሓዊ ሓዊ ዝጨንው ናብ ኣርባዓታት ዝቀረቡ ሰብኡት እዮም ዝነበሩ : ሕጂ ካብ ዝእሰሩ 24 ዓመታት ኮይኑ – ብርግጽ ሸምጊሎም ይኾኑ :: እሞ ሕጂ እንታይ ኮን ይስመዓኩም መራሕቲ መድረኽ ? ነብስኹም ፍረድዋ ! ነቲ ብተገዳስነት ዝጸሓፍካዮ መልእኽቲ ብተገዳስነት ኣንቢበ :: ብሓቂ ግን ሸታሕታሕ መታሕታሕ ኣይበልኩን :: ሸታሕታሕ ኣብ ዘየብል ዱልዱል ምድሪ ረጊጽካ ሸታሕታሕ የለን – ዓርኩ ግዲ የብልካን ሸቀልቀል ኣይትብል :: እቲ መልእኽቲ ግዳ ቁሩብ ምርር ዝበለ ምዃኑ ይርደኣኒ እዩ : ንስኻ ካብ ቶም ንነብሶም ክገጥሙ ዘይጽገሙ ስለ ዝኾንካ እምበር እቶም ገና ሓቂ ክቀብሩ ፈንጠርጠር ዝብሉ ኮ ሸታሕታሕ ዘይኮነስ ኣብኡ ዘፍለጠ ይፍክሩለይን ኣጻብዕቶም የወጣውጡን እዮም ዘለው :: እታ ናትካ ሸታሕ መተሕ ዝበልካያ ትሕሽኒ – ሸታሕታሕ ዝበለ ኩሉ ኣይወደቀን እሞ ! ዝመዳመድ ነገር የለን ዝሓወይ ከትምድምዱኒ ድኣ ተደሊኹም እምበር! ኣብ መሰጋገሪ መድረክ ዶ ከብጽሓኒ እዩ መስፍን ሓጎስ ? እዋእ ( ፍሽኽ ዶ በልካ ) ኣነ ናይ መጃመላ ኣካይዳ ኣብ ፖሎቲካ ኣይኣምነሉን እየ :: ሕጂ ውን ንምንታይ ንህግደፍ ከምዝነጸጉ ንጹር ኣይኮነን :- ዘሎ ገንዘብ ይሃልዎም – መሳርሒ ይሃልዎም – ጀጋኑ ይኹኑ – ብዘየገስ ቀደም ብመትከልና ሎሚ ብመትከልና :: ህልውነኦም ንረቢ ክንዲ ጣፍ ኣይኮነን :: እንተደልዮም ብጾተይ ኣበይ ኣለው ይንገሩን ይናዘዙን :- መርኣያ ካሕሳ ድማ ብቅንዕና ኣብ ናይ ሓባር እንሰማማዓሉ ቅርጻ ስራሕ ይሳተፉ: እንተዘየሎ ኣብኣ ኮለል ክብሉ ይንበሩ ! ኣበይ ከይ በጽሑ ? ኣይኮነን ዶ ሎሚ ትማሊ ኳ ተሓሊፉ! MS, take that ‘gizieu aykonen’ shitara nay Shaebia somewhere else. Also, there is such a thing is guilty by association. 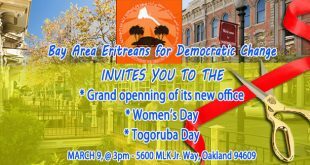 In future democratic Eritrea, all of you who had any position of authority with this evil organization will stand trial. Hi KS. This a very powerful and touching message. The part where you said your friends were just about forty and now they are elderly in prison. The question comes to mind: would you hope they are alive? But if they are, they are suffering a lot. I almost wish they have gone to a better place up in the heavens. At the same time, seeing their innocent faces even one single moment would be priceless. Speaking of Medrek, they have been pondering about the mission of IA. They have been raising questions whether he had a hidden agenda all along to annihilate the Eritrean people. I will continue on another post because for some reason, after a certain length, my posts are kept somewhere and not for many hours for whatever reason. Thank you for your feeling. it was a reminder then the story goes back 8 years before G15 were arresed. this is only one sample and books will be written what the true real fighters have gone through before all those cries started. Time will come and my post is a sample that shows sure time is not far to read books and watch films of the crimes done .. and yes believe, me everybody will walk free as the heroes are not for revenge at all. if they were they had and have and will have even more faculties and abilities to do it in the past now and in the future. But here is the revenge Love, love and love. Yet a bit bitter to swallow at the start.. just heroism to fight self and accept the truth. that is the way to unity, saying Sorry and announce loudly.. tell the story and what the reality is. Then I am the first man to delete the crimes from the record and put in to consideration their positive rolls in history, That is what WEDI VACARO did. from he fully accept his mistakes to the day he depart was few months but he has done a good job that we all admire. we wish him thousand years to be around. are my comrades died? keep reading.. take your time if you are busy if not have a cup of coffee. እቲ ዝገርመኒ ዘሎ ንምንታይ እቲ ተጋጊና ዝብል ባህሊ ጠፊኡ ! ተጋግየ ምባል ዶ ይሓይሽ ጌጋኻ ንስለ ዘይምእማን ጌጋታት ምድርራብ ? ድሓር ብዓንደ ርእሱ ስምረት ሲ ዕርቂ ምፍጣር እንድዩ :: ዕርቂ ዶ ሽፍንፍን ኣቢልካ ይኸውን እዩ :: ቅልዕልዕ ኣቢልካ ኳ ኢኻ ከተሕውዮ ዘለካ : ክንደሻዕ ክንብደል ኢና ? እዚ እዩ ዘዛርበኒ ዘሎ :: ብሰንኪ ውሑዳት ዶ ወለዶ ድሕሪ ወለዶ ክንሳቀ ንንበር ?ሙሲባ እዩ ! ዳሕራይ ነታ ነብሶም ሲ እንታይ እናተሾቅረሩ ዝነብሩ ? – ሓቂ ሓቁ ቶግ ኣቢሎም በቃ – ይቅረ ሓቲቶም ብሰላም ናብ ኣምላኾም ዘይምለሱ ? እንታይ እዩ ክንድዚ ኸውን ድማ ነዚ ጨናዊ ስጋን ደምን ሃሮምሮም ምባል ? እስከ ሕጂ እዞም ሰባት ክንደይ ዓመታት እየን ተሪፈነኦም ዘለዋ ? ኣብ ሰብዓታት ኮፍ ኢልካ ናይ ፖሎቲካ ዕዋላ ምዃን ዶ የምሕረልካ እዩ ? ቅድም እኮ ምስ ነብሶም ክተዓረቁ ኣለዎም :: ኣይመስለካን ? I want to hear your voice. Tell me where you agree and where you disagree. Even though I am very much convinced of what I am saying but I am open minded to see your side if you oppose any of the above statements. Unless in all honesty we face self criticize and respecting our greatest tradition value of Eritrean self-scrutiny, otherwise Asmara regime thrive by creating false narratives that confer imaginary order upon the chaos and randomness of past era of Gadly history and that when vicious killing field and targeted assentation went on unpunished that only succeeded in creating the conditions for a repeat that followed by 25 years of IA madness in which thousand Eritrean perished and led to nothing but horror and nightmare and Like his predecessors and continuation of the same nightmare of Ethiopian barbarism which has decimated Eritrea and killing hundreds of thousands of women and children .This Ethiopia represents an overriding moral issue of a political Doctrine finding practical expression in the uprooting; disenfranchisement and colonization of other people, the indigenous Eritreans . Which also bled and exhausted its military and all too many of whom have come back either in body bags or horribly maimed and bankrupt Ethiopia meager resources. But ordinary Eritrean who wanted to simply live in peace – and wants normalcy can not have it and do wanted no part of the Eritrean continuous horror show. Yet some sell out elites are solidly pro-regime, the die-hard who worship IA . 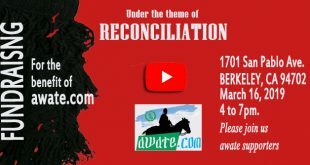 Some minority Eritrean began to ask: is it worth it? when our society and Human beings in general long for coherent stories that explain why horrible things happen, even when those stories are delusional and dangerous. When fueled by enduring political propaganda and lies like false patriotism and nationalism. Rhetorical and hate speech is a key ingredient of the dictator’s and given their virulent history of de humanization of Eritrean hero’s it speak for itself, such lies and fictional narratives become the justification for imprisoning innocent and genocide and other unspeakable crimes. The same violence-baiting hysteria is being deployed against innocent Eritrea who do not agree with regime. Regime apologist are blind to everything that happen in Eritrea. Mass imprisonment, continuous on and off war, cruel dictator, totalitarianism, genocide, youth mass migration and displacement and Eritrean refuge is well known to all. the ambiguous nature of human rights — are at least as relevant as ever. I am totally certain, Honorable Eritrean and Ethiopian that none of us differ in subscribing to the Universal Values of equity, justice and human rights as Indivisible Universal Causes applicable to all the human race irrespective of race, color, ethnicity, religion or creed. As that would be the case, Ethiopian hegemony policies finding living examples in the past Government’s systematic policies of barbarism and distraction and Colonization of the Occupied Eritrean Territories; in defiance of the Geneva Conventions and UN and the International Law, are unequivocally interpreted as acts of immorality and injustice, perpetration the sufferings, dispossessing and deprivations of other innocent humans. For all of us it is a high moral issue requiring that we all humans engage in fighting and rally as one person in its vigorous condemnation. We shall all, The Honorable Eritrean, work for peace and harmonious coexistence in a just and a truly representative Eritrean society of equal rights among Muslims and Eritrean and Christians. As in the long coined modicum of the late Jewish French Philosopher Maxim Rodinson, “Lazy Conscience Creates Monsters;” that we all ought to endeavor to creating the conditions to fostering a durable and lasting freedom and just society and peace for all. Thank you to remind us. It is well deserved commemoration. Since you are a good reader, just go through them and the debates (comments) pertinent to the subject. You will pinpoint the heartless Eritreans who defended the perpetrators who killed unarmed citizens in a day light right here in this forum, and those who mocks the ordeal of a citizen who become blind in the dark foxholes (jails) of the regime. They shaded crocodile tears to a similar tragedy that happens in Ethiopia and defended the Eritrean regime and told us “almerhun Kaltan” – it was the fault of the deceased. Thank you for the update really appreciated. Well, the thing is first of all all lives matter regardless whether he/she is pro, against, Ethiopian, or Eritrean, and being too conscious of other individuals’ reaction and point of view is not going to help anything other than creating unnecessary frictions and personal attacks. The problem is deeper than it looks and that it is not going to be solved by just convincing government supporters. What’s really missing is organized practical support for the people to rise up. Any Tax tips, planning to do it tomorrow. Yes, till the mass comes to power things can be on hold..so why do you think warriors are prepared to fight against PFDJ shouldn’t just wait for the last day of judgement (YOMEL QYAMA) ? shouldn’t they wait for that day instead of fighting against PFDJ leadership? the opposition should be sure with whom we should work and against whom. the case is not the person, it is the principle and Mesfin Hagos and the likes were serving the system it is time to prove us they are not still working, and they were wrong. otherwise tomorrow Monkey and donkey will join us and IA will also join us – Lol. you don’t go for marriage with prostitute unless she completely regret and kneel down asking for pardon to her almighty and that will still need your strength to deal with her. -Do anyone have the right to accuse or blame somebody for whatever action he/she believes is illegal; otherwise there is no way to accuse anybody in the first place? -Is it the accuser’s obligation to bring evidences and prove in a court of law that the so-called culprit is indeed guilty beyond reasonable doubt? -To whom is the accused innocent, to the accuser, or to the court of law? -Does the person have the right to sue the accuser for false accusation, if the accuser fails to prove the crime? Therefore, it is not as simple as that to absolve a criminal, by hiding him behind a sentence, “innocent until proved guilty”. The phrase was not introduced to hide and absolve criminals, but to protect innocent people. The process of proving the culprit is not yet over, and it will continue until the truth is told. Until then, he remains a criminal as much as the accuser is concerned, but innocent to the court of law. Unfortunately, all crimes are not proved all the time in a court of law, due to difficulty to bring evidence, or inability to force the accused to the court of law. Especially, dictators are unapproachable and they can easily hide their crimes. I am not surprised. In your opinion, a writing has content only if it legitimizes dictators and their criminal acts. 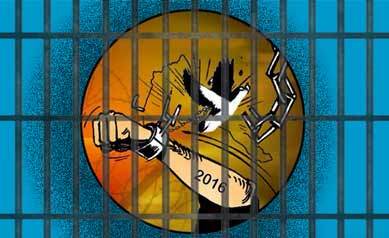 It is a crime against humanity that all Eritrean political prisoners are locked up and held incommunicado. They are deprived of all known political prisoners’ rights. In Desalegn versus Kokhob Selam, Mesfin Hagos and Adhanom G/Mariam [including those top leaders of Medrekh] are considered to be in better position to explain as to why Isayas is doing what he is doing. Many people accuse these ex-Isayas’s top leaders for not speaking out. Even if they are blackmailed, they shouldn’t be walking in fear forever. We know they were so when they were under Isayas and they are so after they left Isayas. Why and why and why is that? 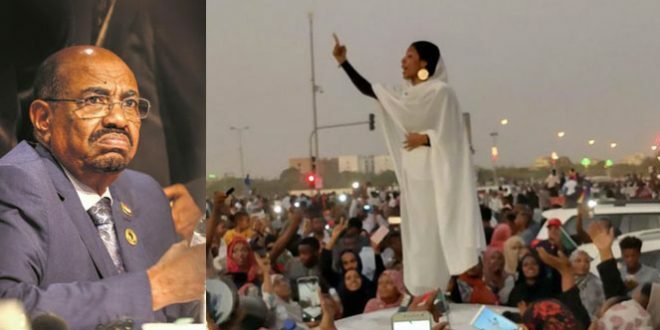 If their lip tightening is typically their way of strengthening their political agenda, then they should know that they are still leaning towards Isayas and working against the opposition. Accordingly, many think of them as engineers of destruction sent by Isayas. But, the good thing, many people think of them better than they think they are. So, a little word from their mouth about Isayas’s history of criminality and abuses of power will get them closer to those who accuse them as Isayas’s Trojan Horse to destroy the opposition. Unless they are suffering from Af-lookhokh (in Tigrigna) or aphasia (inability to speak due to brain damage), they should speak out and set themselves free from the sneaking suspicion that they are agents of Isayas. All ex-leaders are already playing roles. For more space and roles, they should come up with strategies that are needed by the opposition. The problem with those x-PFDJ mercenaries is that they are trying to be leaders of the opposition camp. This is their biggest mistake. Ok, they can be advisors and person-to-be-contacted when it comes to the PFDJ regime but not leaders. Once they were agents of the brutal system, how can they be now again agents of justice loving system? It is impossible. Personally, I reject them fully for their leadership role. Mesfin Hagos has done so many terrible negative impacts on the movement against PFDJ regime. Andebrhan is also not far from doing the same mistake (Nairobi Meetings has revealed his personality and authoritarian tendency). Adhanom is also not that much free person from being accused as he is trying to be isolated as much as he can from the other opposition forces. Medrek: this group is really a messed-up organization. Is it a platform or a political power? Platform is supposed to be just like a table, a table where people come and discuss for a common cause. However what we are observing from Medrek is different. Even after forming an Ad-hoc committe of selected members from the Nairobi attendantees, still Medrek is represented on her own power center. 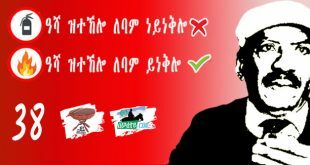 When the Secretary of the selected committee (Semere Habtemariam) started campaigning on their future programs, instead of presenting the newly formed committee, he was also representing Medrek. This implies Medrek is not a platform but a power-house that wants to be a stakeholder. Dear T..T., no one can object when x-PFDJ (not EPLF here) members join the justice seeking camp. But when they join, no one will accept them as top leaders. They have unwashed blood on their hand. For this, they will be brought to the justice. But I encourage them to be advisors. Who else knowns better crimes of PFDJ than Mesfin Hagos, Andebrhan W/gergis, Adhanom, Mehyedin Shengeb, Ali Abdu etc. Even if they pardon publically, their dirty hand can not be made free of being guilty. Justice/court should look after their roles. On this occasion, I call all families of prisoners of conscience to go one step ahead and open a case on international courts and UN Humanitarian Agencies and sue PFDJ members on individual base. We can not watch ideally when guilt people walk among us freely without been questioned. Surely, it would be considered great if those ex-leaders would make themselves available to the youth as sources of wisdom and advice on how to fight the regime and other strategies. Such roles, may help the youth movements to profit on the ex-leaders past experiences to gain knowledge and skills that are needed for the youth to play effective roles in leadership and trust building. Exactly! Those x-freedom fighters and who served as executves are highly needed as person-to-be-contacted. Our youth need their wisdom of fighting against oppressors. However their role should be as stated by you. They can teach youth wisdom and to avoid same mistakes. When they come to power, they will use their previous strategy, a strategy which let us into a mess we live today. Being in the leadership will be therefore a great mistake and making a loop of same mistakes. Hi tes, your paranoia is getting the best of you. Then again, who am i to criticize you, after all , you were their errand-boy to know what they up to. Have you considered a tinfoilhat when dealing with them. Of course you don’t have anything to criticize me. You didn’t search my identity to know me. I told you who I am and it is up to you how you will perceive me. What all I know is that I am the supposed to be “brainwashed innocent young man”. Now I am telling you what kind of mindset (PFDJ mindset) were trying to install on me. NowI am using the knowledge I learned by these brutal regimes to expose them. Who else do you expect to expose PFDJ mindset than one who was trained to be a cadre and then their errand-boy (to use your word). If I confront you, do not be scared. I know you mindset and I know how to tackle it. Hi tes, “brainwashed innocent young man” apology accepted. How hard is it to do the same to others. Ex-PFDJ are working extra hard to belong in a opposition camp. You need them with you for the same reason . they too, are good at fighting and exposing the mindset of PFDJ. What apology are you talking about? Am I going to ask for being brainwashed? This is ridiculous? You might be wondering or feel some relief as if I wrote this (brainwashed innocent man) for the first time. You can read my articles and then comments that follow till today. I have stated as such repeatedly simply because some think that I have benefited from the system. Even some day you provoked me and I wrote a comment which was later posted as an article by AT. Do not therefore go that cheap twisting. When I say “brainwashed innocent man”, all I talk about is my whole life period since independence(1991-2012, 21 years). Consciously or unconsciously, my brain (same to all Eritreans who lived under the PFDJ brutal system) is already polluted by PFDJ. For this, I am struggling hard to be a free of any traces of PFDJ ideology. It is not that easy but at least I can use my brainwashed mind to exposed PFDJ mindset. Remember, living under PFDJ is totally different than reading about PFDJ. As for me, I did both and now I am reading only. Such kind of installed knowledge is helping me to detect PFDJites like you by going through each line. Therefore I am not apologizing for been brainwashed rather use it so that the enemy (Number one and brutal enemy) of Eritrea and Eritrean people be weeded-out for ever. Regarding the x-PFDJites who are working for justice, that is not my issue. My issue is those in the highest leadership position and played their role in letting Eritrea fall. I don’t accept the term “Eritrea as a failed country” but PFDJ is working hard to make Eritrea a failed state. For this I stand against them and Eritrea will shine again through democracy and full freedom. I am always putting it clearly that when someone is opposing his ex-party he has to come with clear explanation why he is leaving to join the mass, in fact when he was in such party he has been part of the criminal group especially those personal mentioned who were the first decision makers. We don’t need to put it in details even if they don’t do any crime they are responsible for being with the party that kills, arrests etc. why for they were there? Leave alone Mesfin Hagos and the likes who were right in front of the field doing practically what ever instruction comes from the devil, even Wedi Vecaro who only supported the front from his good intention of national freedom has said “I have done mistakes”. Besides asking pardon makes a man more respected and allows people to count his positive history more than his negative recorded history and above all it confirms to the mass that he is promising to people he will not repeat such mistakes. ordinary fighter of ELF asked to the mass pardon him for participating as normal fighter against EPLF known those days( ENDA SABE ) . imagine just 18 years young fought and injured and still regret for being part. And Mesfin Hagos with his huge good and bad history is not willing to say it all. Now, after continuous debates I am no more interested about those guys and I am sure if they don’t play their positive role they will still remain decayed history even if they unite with my own leadership and party and I am honest on that. Those ex-leaders don’t have to wait for trial or court or rule of law to prove their innocence. No one is expected to come with contrary of the evidence they present to prove them guilty. What’s just needed of them is to speak out of everything they know about Isayas’s crimes. Unless they were in sleep walking when serving the regime, they can’t claim they know nothing about what was going on there. Indeed, their journey with the opposition should have started with condemnation of the regime, supported with evidences. Yes, but they are not willing to tell us and they want to keep it secret because they have also their part on the crimes. you see, I can’t shoulder every crime to one man only. in fact I have strong stand that we all are the victims who created these intellectuals and parties. We have seen practically nations who blame only one party or one personality have repeated the same history and even worst. Things should be seen from the root. So if one one Ex- leader or cadre comes and tell me the crime of IA today I will not be satisfied but if he tells me what his negative role was and comes with honest explanation how things were going on only I can trust his future mission -and create a system that will not hijack my future struggle results. That is what I am requesting them. Let us close the gate that may let another dictator’s entrance – by exposing our past mistakes and by creating very strong unshakable ground well systematized. way to go Team Awate for reminding us of this day. Thanks!